AUTHORS PAGE FOR DANIEL CAMERON – Page 2 – Welcome To My Site! Inside These Pages You Will Find Excerpts From My Book, Related Writings, and Other Interesting Stuff. July 29, 2018 July 29, 2018 Greed, Power and Politics, The Dismal History of EconomicsLeave a Comment on Why Are Drug Prices So High? July 29, 2018 July 29, 2018 Greed, Power and Politics, The Dismal History of EconomicsLeave a Comment on Can Health Care In America Be Saved? Can Health Care In America Be Saved? July 29, 2018 July 29, 2018 Greed, Power and Politics, The Dismal History of EconomicsLeave a Comment on What Caused The Great Depression? July 29, 2018 July 29, 2018 Greed, Power and Politics, The Dismal History of EconomicsLeave a Comment on Why Are Third World Countries So Poor? Why Are Third World Countries So Poor? 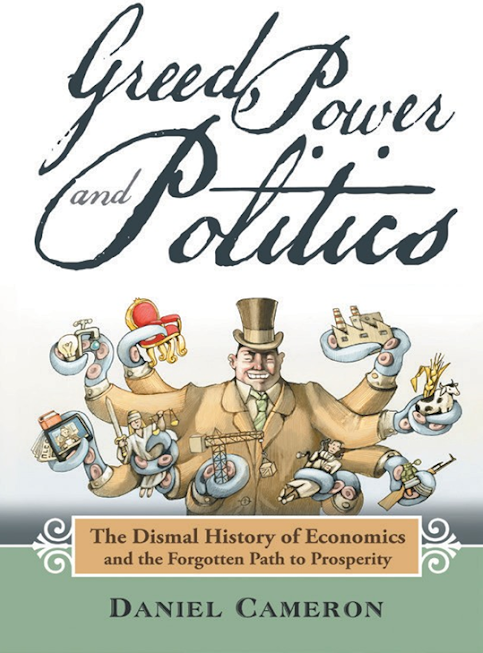 July 29, 2018 July 29, 2018 Greed, Power and Politics, The Dismal History of EconomicsLeave a Comment on Do Tariffs and Trade Wars Help The Economy? Do Tariffs and Trade Wars Help The Economy?